The main goal of most futures traders is to maximize profit and minimize risk. If you identify yourself with this group, a futures trading system might be the answer to your quest of increasing investment returns. 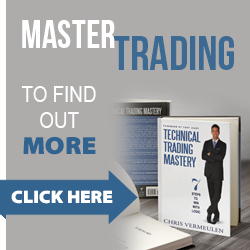 Before we get down to the telling you why you should trade with a futures trading system, let’s take a closer and detailed look at this program. A trading system is a specific set of rules that dictates how to buy and sell individual securities or even bulk orders for that matter. It is obvious that the system along with its rules is computer-based. It is an automated trading system and has the ability to run without human interference. Now it is time to explain what the ‘futures’ stands for in futures trading system. It is a category of contracts that are openly transacted on futures exchanges in different countries of the world. As per the contract or the agreement, a certain amount of the asset in question shall be traded at a certain point in future. To put it in simple words, it is a stock with an expiry date. This type of contract is available for Gold, oil, treasury bonds, stock indices and currencies. In fact, these are the most popular. Firstly, it lets you diversify your investment portfolio and act as a hedge in different types of market. There used to be an inverse relationship between the value of stocks and the value of futures. Thus, when the value of stocks increased, the value of futures dropped and vice versa. However, at times the shift in the value of stocks did not affect the value of futures much and they moved in their unique, independent ways. It becomes clear that the relationship between the stock market and Futures trading is not very strong and this can help save an investor’s portfolio in bull and bear markets when it come to stock trading. Secondly, a future trading has commodities at its base. This includes commodities such as gold, oil, wheat and coffee. The global demand for luxury and everyday commodities makes it a full-proof investment not vulnerable to the fluctuations in the stock market. When the prices of these commodities increase you can gain by transaction on them. Thirdly, an automated futures trading system gives you an advantage over the traditional approach to investing. Instead of making investment decisions on the basis of what feels right, the system allows the trader to make investments on the basis of what looks and will look right in terms of profitability. The decisions are not emotion-driven, but based on an algorithm, technical analysis and the historical trends. Thus, you can avoid simply following others and make sure your investment decisions never go bad. Finally, using futures trading system saves time. Being computerized and automated, you can transact in minutes. Also, you need not be present to execute the trade. The system does it on your behalf, in your absence round-the-clock. If you not very tech-savvy, you can have a futures broker help you out with it. Using futures trading strategies is known for its advantageous features such as being automated, time-saving, based on a set of objective standards and the likes. Start trading in futures to maximize your trading profits.